This entry was posted on Donnerstag, April 21st, 2005 at 00:00	and is filed under best shots, black and white, gallery, landscape. You can follow any responses to this entry through the RSS 2.0 feed. You can leave a response, or trackback from your own site. Great shots. Love the intensity of your contrasts. They are such mood invoking shots. Great. Great shot. The subtle curves are great. The angle and the contrast make it difficult to guess the exact dimensions of this. Lovely. 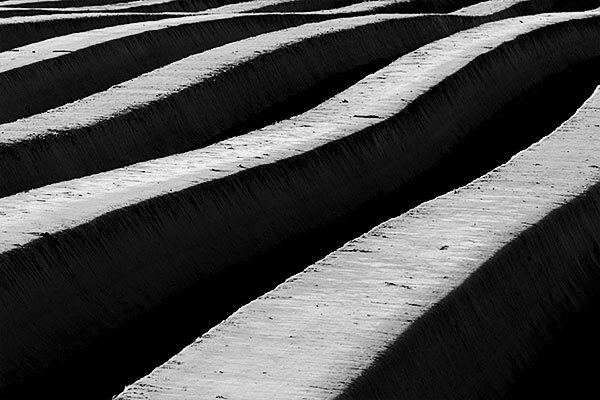 Good shot Jorg – love the contrast and the repeated diagonals – great stuff. Nice picture. Love the contrast. What a captivating subject. And I you’ve captured it marvellously! Sehr gut gelungen, schöne Komposition. Ich hätte evtl. die obere Hügelkante wo sich die vertikale Linie bildet ein wenig mehr nach unten genommen.